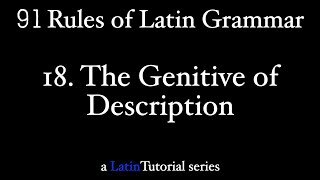 All of the videos from LatinTutorial to browse, search, and filter. 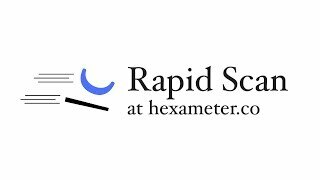 I've added a new activity over at hexameter.co called Rapid Scan. My goal is to help create a natural ability at scanning lines quickly and naturally. You have five minutes to get as many lines correct as you can (don't worry, you get easy lines to start), and your attempt is over when you get three lines incorrect. Subscribers get unlimited access to Rapid Scan, and other users are limited to just three attempts each day. Climb the charts! Challenge yourself! 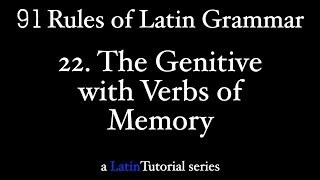 In contrast to verbs of remembering, verbs of reminding take both the accusative of who is being reminded, along with the genitive of what they are being reminded of. The translation into English flows rather naturally, and this rule shouldn't be too much of a burden (except for neuter pronouns, the one exception). 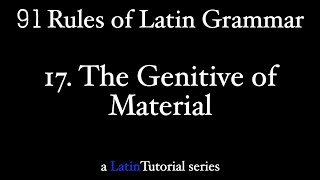 In Rule 21, we explored how adjectives of memory (among others) take the genitive case. 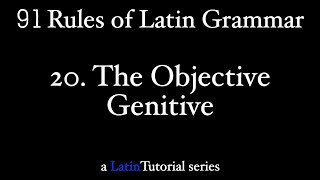 In this video, we discuss the verbs of memory memini and obliviscor, and how they can take both the objective genitive and the accusative case. It all comes down to fondness and warmth. 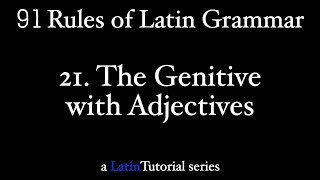 The genitive case is also used with adjectives denoting desire, knowledge, memory, fullness, power, sharing, guilt, and their opposites, participles when used as plain adjectives, and adjectives ending in -āx (like tenāx and capāx). Whew, that's a mouthful. Why not watch this video and learn more? What if you could make a noun the object of another noun? 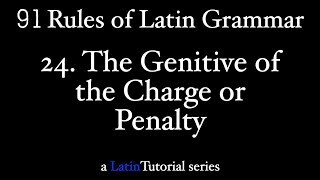 That's precisely what the objective genitive shows, and this rule discusses when you'd see it. It's similar to the possessive genitive, but not quite from the same perspective. 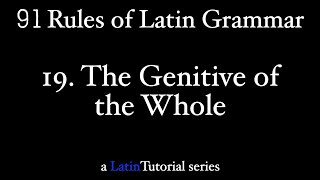 Another one of these rules is the genitive of the whole, which has four different categories, based on the noun that governs the genitive. This is also known as the partitive genitive. The big key for this genitive, don't be too wedded to the "of" translation of the genitive case. 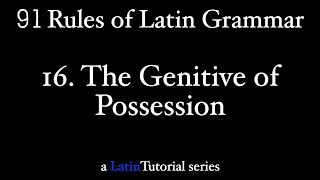 The main use of the genitive case is for possession, and this is where we can use both the "of" translation as well as the apostrophe s. But should we always use the genitive to show possession? This video explains when to use it and when not to.